Have you ever wanted to design your own board game? Now's your chance! We are hosting a Board Game "Game Jam" event during the first week in March. Have you ever wanted to design your own board game? Now's your chance! 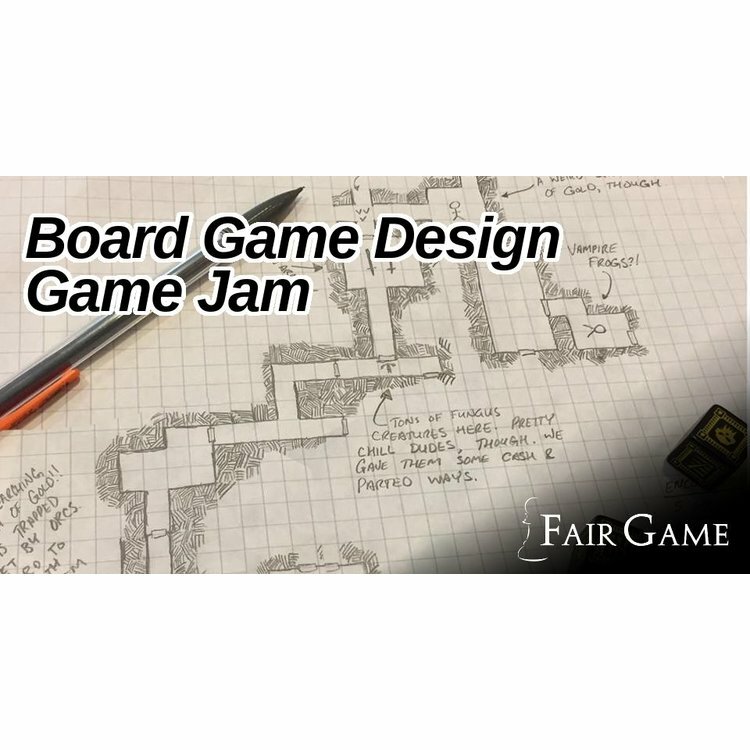 Fair Game is hosting a Board Game Design Challenge during the first week in March. 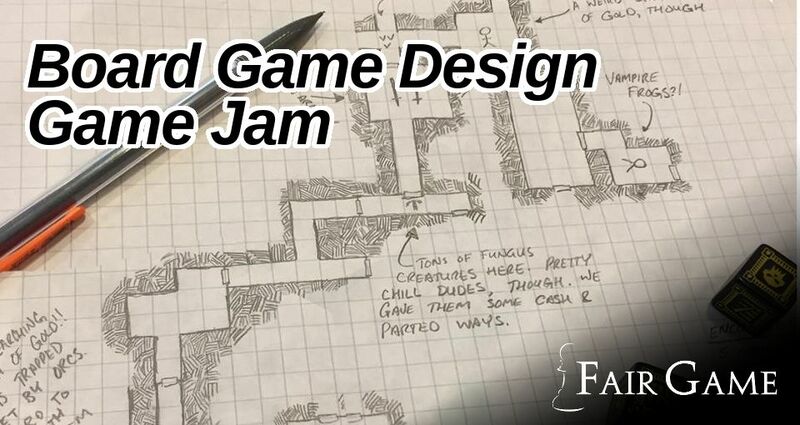 We will be borrowing the format of video game "game jams" where creators have a limited amount of time to complete a semi-functional design, often building around certain criteria, but we will be applying that format toboard games! There are two ways to participate in this event! (1) Designers will be challenged to create a board game in a single week. Each team of designers (1-4 participants on each team) will drop by the store on March 2 to receive special instructions and materials for designing their game. They will return on March 9 at 5 PM for playtesting and judging! (2) Playtesters will join us on March 9 to try out our designers' creations! Aside from getting a chance to try out some fresh and innovative game designs, playtesters will also help vote on the winner of the Playtester's Choice award. The best part? Admission is free! Keep reading for even more specifics about the event! PREREGISTRATION IS VERY IMPORTANT! If you want to be on a design team, make sure to preregister through purchasing this item as can only support a very small number of teams. If you want to be a playtester, let us know that you will be coming by sending us an email! If you have any questions in either case, you can always reach out to us at (630)963-0640 or fairgamestore@gmail.com. One of my friends/family members is a designer participating in the competition. Can I still sign up to be a playtester? Of course! It's super great that you are coming out to support your friend/family member, and we respect your integrity to be impartial when it comes to evaluating the designs. I've never designed a board game before! Can I participate? Yes! This competition is perfect for you. If you have ever played a board game and thought "I would like to take a crack at making one of these," you will love signing up for this event. How complete do these games need to be? I'm not an artist or a designer. A week is not nearly long enough to design a complete a board game. Just get as far as you possibly can. You don't need artwork or final design components (though if you are an artist or designer, you can and should include that work in the game). I have been working on a game for a while. Can I just bring that in? No. All designs for this competition must be original creations. Much like your favorite cooking competition, designers will be given key "ingredients" that they will need to incorporate into their design. The incorporation of these ingredients will be one of the factors our judges are looking for when they consider each creation. What other criteria will games be judged on? We are looking at a variety of factors, but chief among them are Originality, Fun & Engaging Gameplay, and Rules Stability. As we mentioned above, judges will also be looking for how well the designers incorporated the "ingredients" outlined at the beginning of the competition. Other factors, including Accessibility (e.g. language independence, colorblind friendly, etc.) and Appearance (the game might not have finished art, but does it look cohesive?) will also be examined. We will give out first, second, and third place awards at the conclusion of the competition, as well as a "Playtester's Choice" award. Based on participation, we may also give out additional awards.